A Langley, B.C., mother is filing a human rights complaint because she says the Fraser Health Authority won't provide funding for her to look after her epileptic daughter at home, but instead only offers government care. The mother of a 22-year-old woman with severe epilepsy, who has been fighting to keep her daughter living at home, fears she may have to send her to an institution or a stranger's home. Renee Marlatt, 42, says she's at the end of her rope trying to get funding from the Fraser Health Authority to provide care for her daughter Tavia Marlatt at their Langley home. Tavia Marlatt's condition means she can't live on her own. She can have dozens of seizures each day, sometimes up to 50. As well, she has borderline personality disorder and cognitive deficits. The young woman doesn't work and needs supervision. "I feel frustrated with myself that I can't get her the help," says Renee Marlatt, who works with children with complex needs in the Surrey School District. "It breaks my heart." Marlatt says Fraser Health has turned down funding for her family to organize in-home care for her daughter, telling her instead that the authority would fund care and housing for Tavia either in someone else's home, or at a government-run facility. Marlatt wants to look after Tavia Marlatt herself. Her daughter wants this too. Tavia Marlatt has a seizure while in conversation with the CBC's Eric Rankin. In a statement, Fraser Health told CBC: "In cases where clients have specialized needs that cannot be optimally met with assistance from a community support worker, require additional supervision or are unable to live independently, a Community Support Home is offered as an option, as many of these caregivers are highly trained to deal with complex care needs. "Should a client decline Community Support Home services, they can continue to receive support through the Acquired Brain Injury program, which can include rehabilitation support and respite for caregivers." Marlatt said she feels pressure to put her daughter in an institution. "I constantly get told 'Just put her in care. If you did that you wouldn't have to go through any of this,'" says Marlatt. Tavia Marlatt can be difficult to deal with, her mother said, combative and non-compliant. Her seizures range in severity from partial to major and can last several minutes. She has had many serious falls and injuries requiring hospitalization. She recently broke her her jaw in four places in a fall. Tavia Marlatt says she often doesn't remember when she's had a seizure, and when she comes out of one, can start a fight. "My mum is the only one that can get through to me," she said. "She's able to talk me through...I don't think a stranger would do that." Tavia Marlatt says the epilepsy has put stress on her brain and caused it to deteriorate. That, combined with her mental illness makes her feel she is a burden. "Over the years, the more seizures I have, the less and less I'll be able to take care of myself, which is scary," Tavia Marlatt said. "I don't feel 22, I feel a lot older, because I have no memory, basically." Kim Davidson, the executive director of the B.C. Epilepsy Society, said the family is falling through the cracks. Davidson said the society, which advocates for 40,000 people in B.C. with epilepsy, supports Marlatt's quest for support. "If an adult child can remain in the home, and the family can provide that care, that's where we need it," Davidson said. Keeping Tavia Marlatt at home is also a cheaper option, she said. "Under the care of her mother, it is pennies to the dollar, [compared] with if they took her into the system, into an institution where she's going to be cared for by strangers," she said. 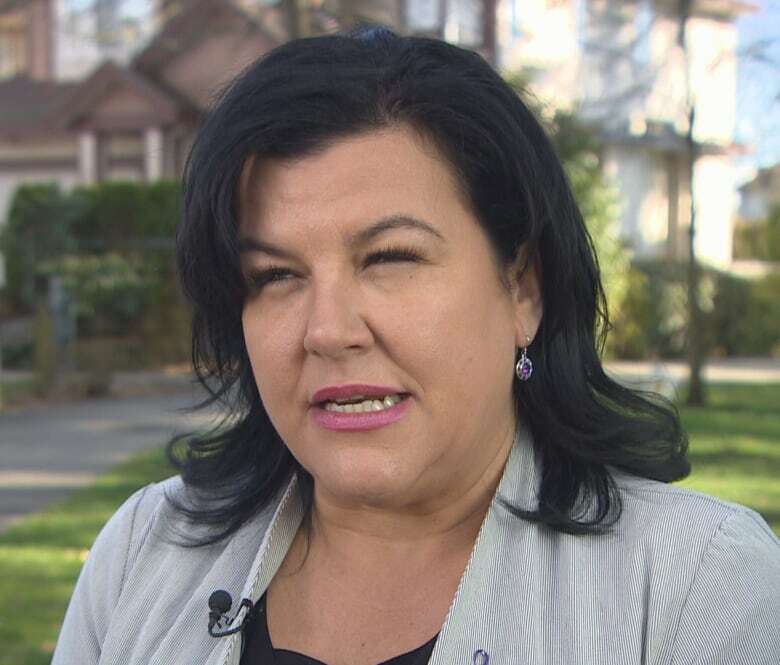 Davidson says that if Tavia Marlatt were diagnosed with autism there is no question her family would get funding to support her at home, noting 30 per cent of people with autism suffer epilepsy. Last week, Marlatt asked the B.C. Office of the Ombudperson's office to look into the problem. She is planning to file a complaint under B.C. 's human rights legislation, alleging discrimination based on mental and physical disabilities.